Aircrafts are complex pieces of machinery that may have catastrophic results if not properly inspected. If for any reason you have any questions or comments about an aviation accident expert witness, feel free to give us a call at 630-466-4040 or fill out the form to the right and a representative will respond shortly. An aviation accident expert witness can perform investigations beyond the aircraft itself to include incidents resulting from the ground, to airport terminals. Our experts can serve as an expert witness in any aviation accident case. Professional Analysis and Consulting, Inc. features a state-of-the-art on-site laboratory which supports most aviation evidence-testing and analysis investigations along with appropriate tools, cameras and microscopes. Our methodology used for investigating aircraft accidents is highly effective. From examining components to investigating if an aircraft is air-worthy, a trained and experienced aviation accident expert witness can help accurately investigate and document any and all issues regarding an aviation-based incident. 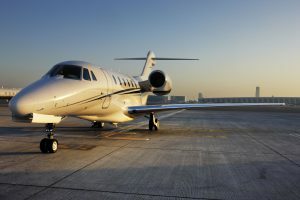 Professional Analysis and Consulting, inc. also investigates ground and baggage handling equipment accidents and failures and can provide an aviation expert witness at a very reasonable price compared to our competitors and combined with the scientific method that we utilize for all accidents our we can investigate even the most difficult of cases. If for any reason you have any questions or comments about an aviation accident expert witness, feel free to fill out the form to the right and an associate will respond shortly or give us a call at 630-466-4040.